We are living in a time when it’s never been easier to track down muscle cars and parts for sale. Unless it’s the rarest of the rare, there’s usually a few examples of vehicles for sale at any one time, plenty of OEM parts and look for long enough and usually what you want pops up. Forums and message boards are a good way to ask advice, but social media groups are much quicker to respond and a great way to talk directly to sellers and dig out some hard to find bargains. You just need to do a quick search on the likes of Facebook for enthusiastic groups which have the same car interests as you. 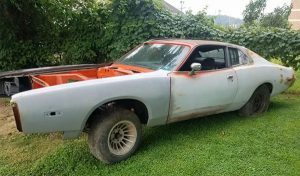 For example, ‘Mopar muscle and swap meets‘ have a listing by Dave Stutler for 1973 Charger parts, doors, front fenders, floor shift column, bucket seats and door panels. Another listing from this group from Derrick Fettig advertises Mopar parts from 1966-1974. Loads of stuff from engine blocks to fenders. The benefit here is that you can talk directly to the seller and get feedback from other group members almost instantly. Car parts are more amply advertised this way, but that doesn’t dismiss vehicles themselves. Type in something like ‘cars for sale’ in the top search box in Facebook, click on the ‘Groups’ tab at the top and you should get pages of groups with either general vehicles or something specific you had in mind. 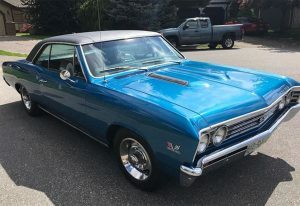 I typed in ‘chevelle for sale’ as a search term and came up with plenty of groups with direct listings for vehicles for sale. Run down barn finds to show cars, even a few auction listings. The takeaway here is that joining a few social media groups will eventually source you the vehicle or car part your after and give you the chance to chat with like-minded people. If you haven’t already, join a few today and you may be pleasantly surprised by what you find. Maybe even start up your own group.